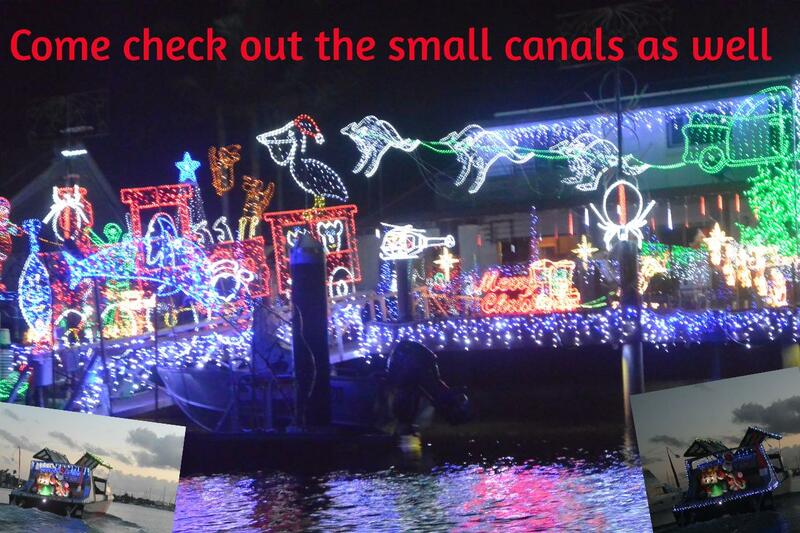 Mooloolaba Canals are alight, celebrating the FESTIVE SEASON and Hela-Va-Jet can get into the smaller canals where you can see some of the most spectacular sites. Come join us on our 1.5 hour cruise through the canals enjoying the light parade. This time of the year it's time to celebrate the FESTIVE SEASON. Come join us on a cruise through the canals enjoying the light parade. The houses are lit up beautifully.